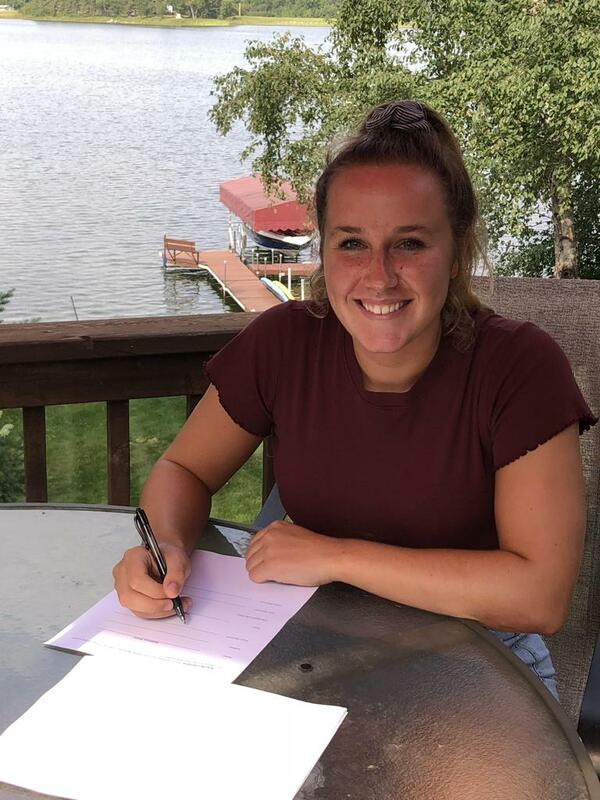 August 17, 2018 – One year ago today, McKenna Brand was selected 11th overall in the 2017 NWHL Draft. Today, Brand signed her first pro contract. The Northeastern forward has decided to stay in Boston, signing with the Pride for the upcoming season. Originally drafted by the Riveters, the Minnesota native completed an outstanding collegiate career at Northeastern earlier this year – capped off by being named to the WHEA All-Tournament Team. She scored both Northeastern goals in the WHEA title game win over Connecticut. As a senior, Brand led the Huskies in scoring with 15 goals and 34 points in 39 games. The previous season, she had 23 goals in 37 games – including 5 game-winners – and received First Team Hockey East All-Star honors. She finished her career as the program’s all-time leader in games played, with 150.